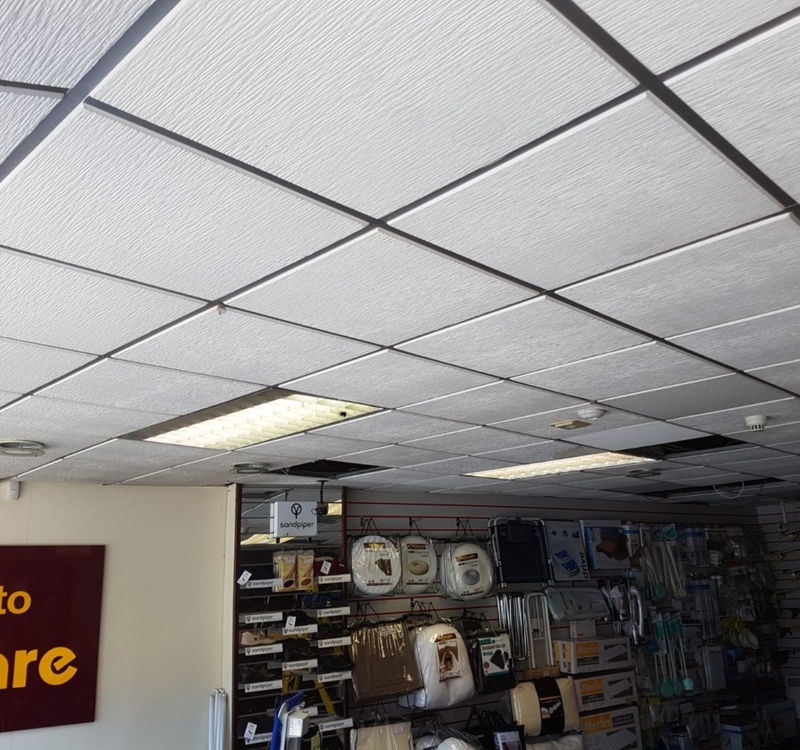 Granmore’s ceiling tile installers took a break from the tiles today when they were asked to install Lighting throughout a store in Stockport. 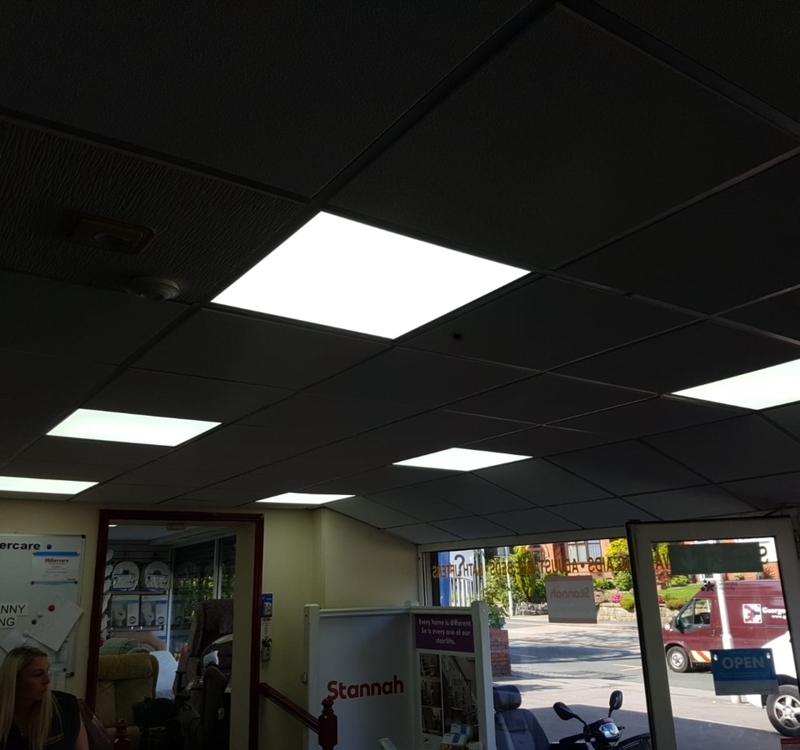 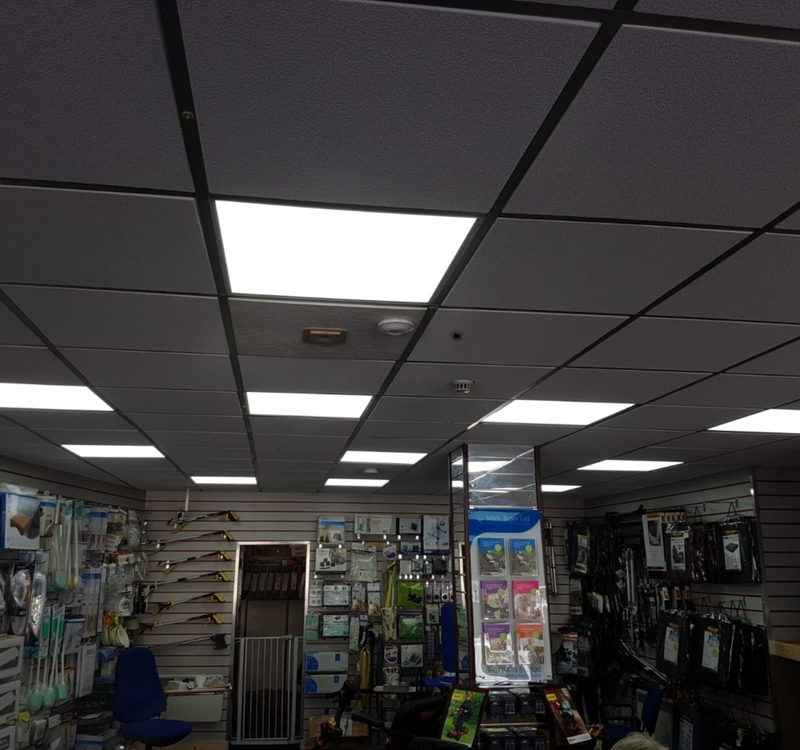 The customer was a mobility specialist shop and they had one of Granmore’s ceilings a while ago, however they now needed all of the Fluorescent tube Lighting modules and small spotlights taking out and replacing with our 600mm x 600 mm LED modules. 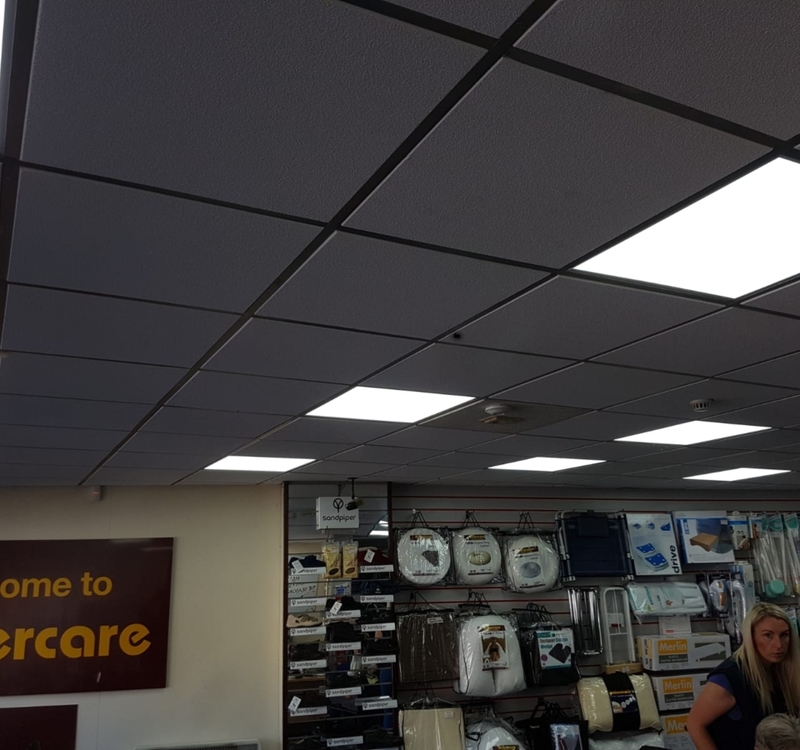 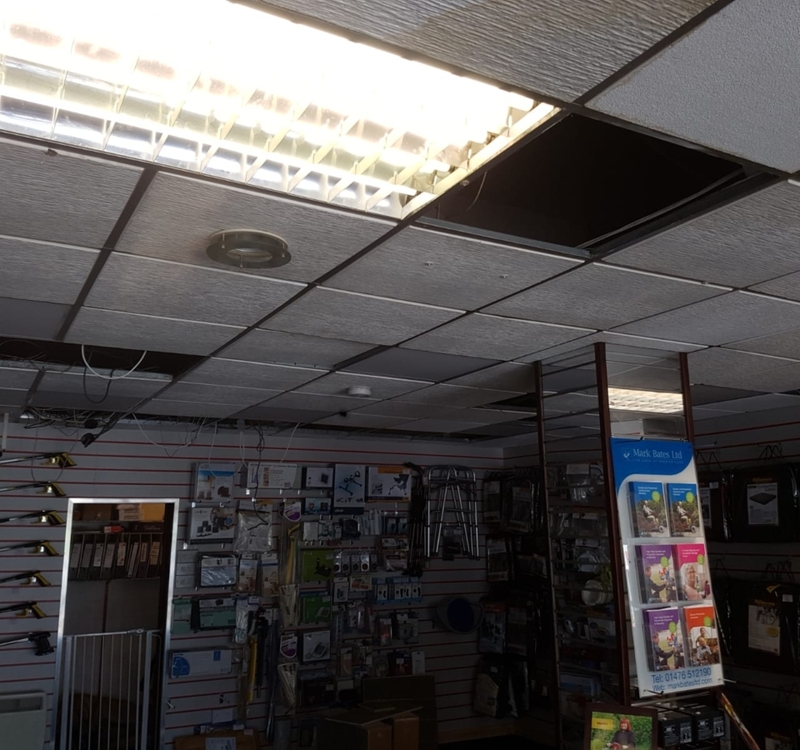 The ceiling tile installers had advised the customer that these lights will give off a lot more light in comparison to their old set up , this will help to show up the items on display in the store a lot better. 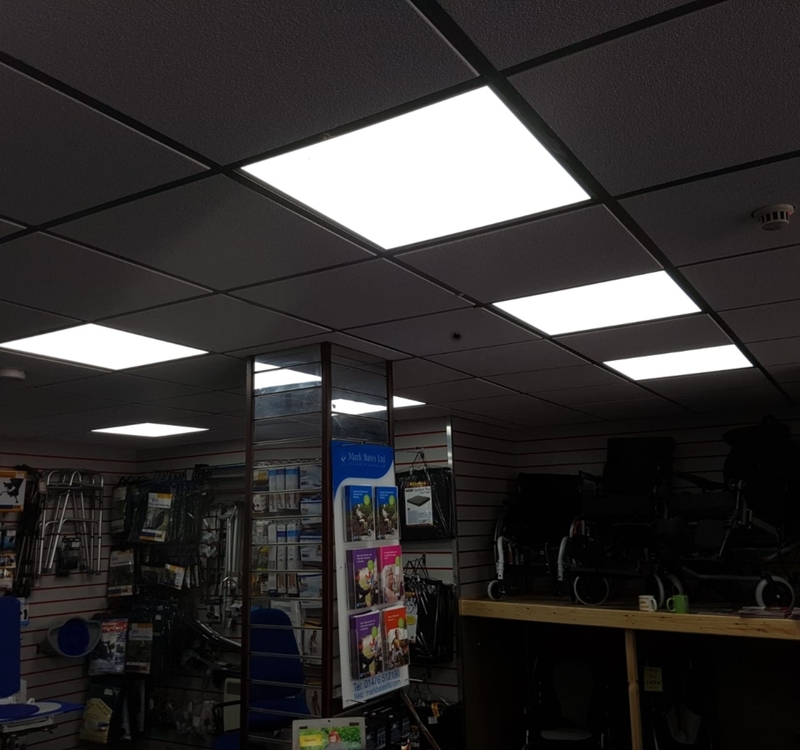 They will also use a lot less electricity and so will help reduce energy costs long term for the company. 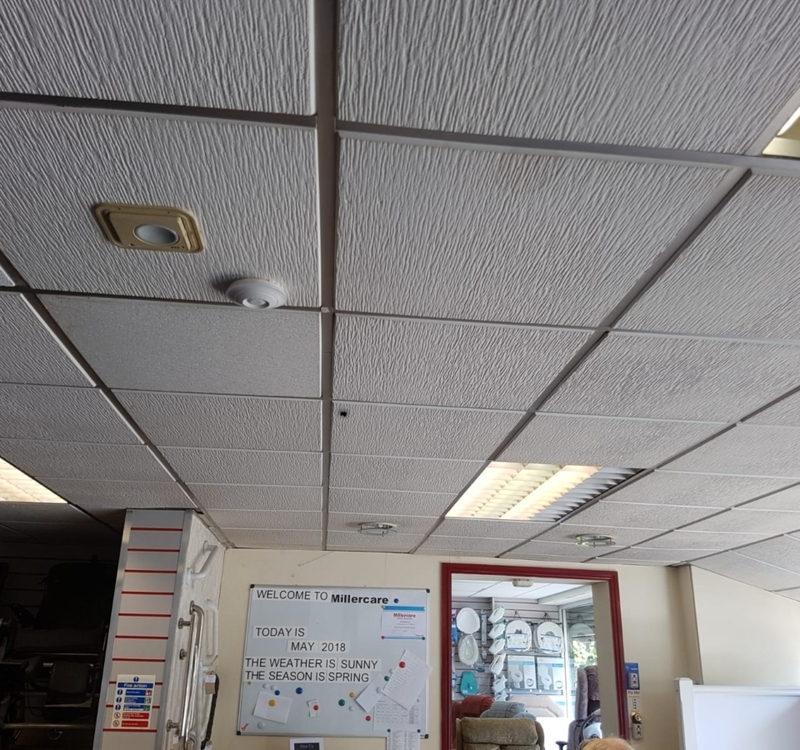 The customer is very happy with the lighting and would like Our ceiling tile installers to do the same job in another store.